Acknowledged as the international industry leaders in conservatory roof system design and manufacture, Ultraframe provides a wide range of roofs and ancillary products to a range of customers, from conservatory fabricators to retail installation companies. 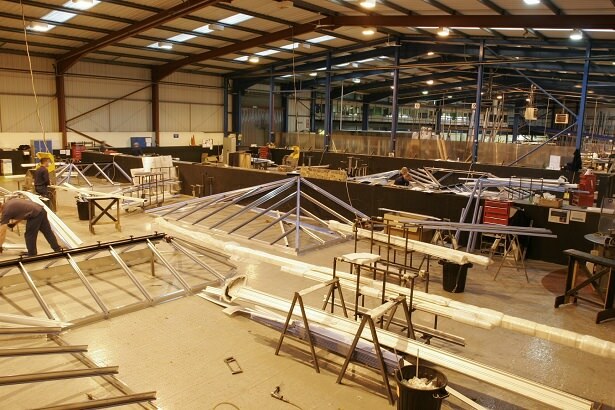 Based in Clitheroe, Lancashire, we've been manufacturing conservatory roofs for 30 years and employ around 400 people at our Clitheroe Head Office. There are over 1,500,000 installed Ultraframe conservatory roofs performing day-in, day-out across the UK and our products are widely regarded as the best on the market. MISSION: Ultraframe's mission is to be the leading provider of conservatory systems for home improvement and new housing applications in the UK and Europe. We have over 300 worldwide patents granted or pending. We have highly sought-after third party accreditations from throughout Europe and North America. We are the only conservatory roof manufacturer to have passed the world's toughest testing regime - the BOCA system from the United States, which is based on the severity of US weather conditions. Ultraframe systems are accredited in over 30 US states in which extreme weather prevails. Our roofs were the first to be approved by the British Board of Agrément - proof that they've also passed Europe's toughest tests. We were the first conservatory roofing company to be awarded the International Standards Organisation's ISO 9001/9002 approval for design, manufacture and supply. Our revolutionary Uzone conservatory roofing system was the first roof ever to achieve BBA approval at launch. We manufacture over 3,500 products supplying to thousands of trade customers in the UK, Europe and North America. A range of traditional and contemporary roof designs (e.g. Victorian, Georgian and Gable) can be achieved with the Ultraframe Classic roof system which is available in a variety of colourways to complement all house styles and existing windows and doors. Large span conservatories, suited to extensive conservatory schemes such as pool enclosures, are made possible by using Ultraframe expertise to design a high strength and lightweight portal structure. House Extensions - A building solution based on thermally insulated columns that are over 5 times more thermally efficient than brick columns. Livinroof - is the first roofing system designed to give you the flexibility to combine solid and glazed roofing seamlessly. Ultraroof - A factory pre-fabricated tiled roof with glazing panels to ensure maximum light and warmth. Ultrasky - minimal roof and more sky with this extremely attractive roof for orangeries and flat roofs. Ultraframe Conservaglass - A unique glazing system which keeps your conservatory cool during the hot Summer months and warm and cosy during the cooler months of the year. Conservaglass also helps to reduce any condensation problems and leaves windows clean and bright thanks to the Easyclean technology. Central Lighting Panel - Integrated lighting products to subtly enhance the mood and enjoyment of your conservatory whether day or night. A range of decorative products including finials and crestings to personalise the outside of your conservatory and Ultraselect, a unique range of decorative strips to add a touch of extra flair inside. Of course, with a reputation such as Ultraframe's, imitation is inevitable, and some disreputable companies have been known to promise to fit an Ultraframe roof, only to fit an inferior system. To help put an end to this serious problem we have introduced the Ultraframe Certificate of Authenticity - your guarantee that you have a top quality Ultraframe roof. The Certificate is a legal document that you can use to reassure future buyers of your home that your conservatory really does feature an Ultraframe roof, and of course to provide your own peace of mind that your conservatory does feature the market-leading roofing system. To benefit from our years of experience in the conservatory industry, find your nearest Approved Ultra Installer today. We'll be on hand to ensure you are put in contact with an Ultraframe specialist that excels in handling our products. You can also get in touch with us via our online contact form should you need any more information.